Every year I find some of my favourite shows are cancelled while utter trash is renewed for the umpteenth time. Fan communities complain as loudly as they can, but more often than not, it isn’t enough. Many of the same shows whose cancellation really hurts for me are also critical darlings. But this is an industry that relies on cash – quality has no place in the television industry if it can’t bring in the numbers. 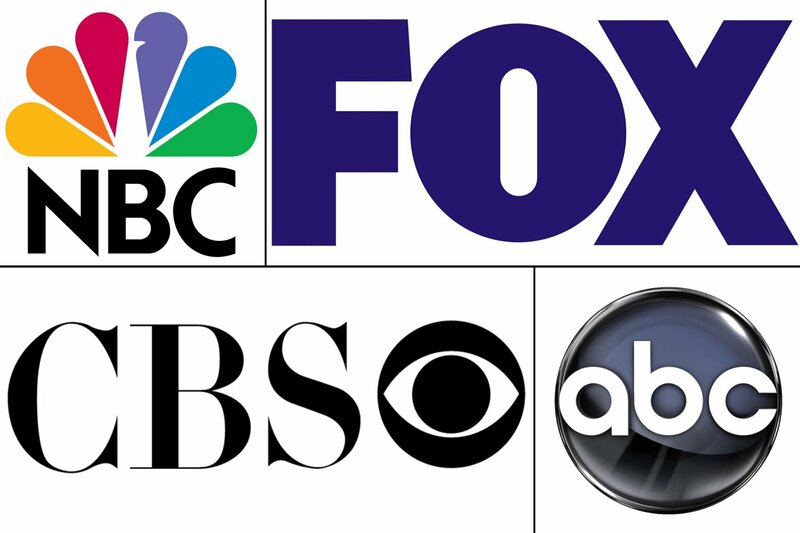 I am almost constantly disappointed in the viewing public, especially American viewers, as it is their ratings that really matter to most studios – finding audiences in other territories does matter but often happens too late or simply isn’t enough to make continuing a series viable. For studios, ratings are all that matter. High ratings sell advertising slots. High ratings make money. So how are so many awful shows receiving the highest ratings? 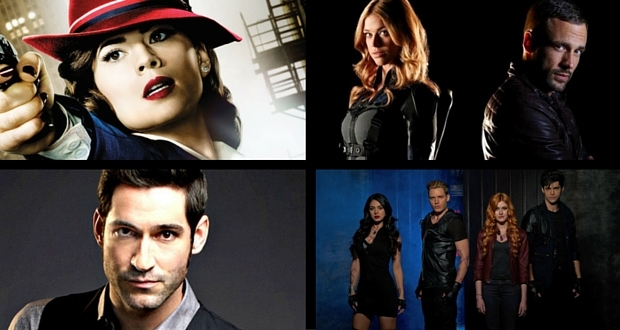 You can see the full list of shows that were axed and renewed over at TVLine. I am absolutely shocked by the lack of general viewer interest in Marvel’s best series on major network television, Agent Carter. The first season ratings weren’t amazing (premiering at 6.9 and falling to 4 million by the finale), but we had hope. The show was brilliant. Other people would catch on, right? Apparently not. The second season, arguably the stronger season, languished in the ratings with an average 2.5 million viewers. Unsurprisingly, ABC cancelled the series. Cue heartbreak of millions of fans the world over. Come on Netflix, save the day… pretty please? Marvel’s other series on ABC, Agents of SHIELD has continued to pick up at least 7 million viewers (including DVR numbers) and has been renewed for a fourth season. While I’m a big Marvel fan and was hugely looking forward to this series, I have been very disappointed. I pushed through, really trying to like it, forcing myself to watch the first two seasons. But I admit I gave up by the third (though I’m told it is the best season to date). Meanwhile, the two characters I found myself enjoying most and might have enticed me back, were Bobbi Morse and Lance Hunter, who were written out to star in a spin-off, Marvel’s Most Wanted, which is now a non-starter at ABC. In the past few years, some of my favourite debut sitcoms have found themselves on the cutting floor, some even before their first seasons could come to an end. First, there was Enlisted, an abused child of a studio that had no respect for regular airing slots or episode order. Then came The Michael J Fox Show, a sweet, family-friendly, funny series that was prematurely cancelled before the intial episode order had even aired. 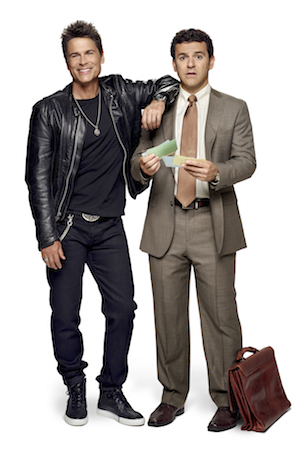 This year, another of my favourite new shows has been axed: The Grinder. Another casualty of Fox failing to believe in interesting and different shows, and again a critic darling. The Grinder didn’t manage to find a massive primetime audience, despite its positive critical reception, clocking in with an average of 1.5 million viewers per episode. A real shame, as it was supremely funny and a refreshing sitcom premise. I’m constantly surprised by the sitcoms that manage to find success. Worse than that, I’m often horrified by the unpleasant stereotypes that they either portray or relish in making fun of. Far too many of the successful sitcoms coming out of the US fall into this category. They are lazily written and poorly acted. How The Odd Couple has managed to last this long is anyone’s guess (and CBS has yet to confirm whether the show is cancelled or renewed). You only have to look at the insanely successful sitcom, The Big Bang Theory, to see this in action. The series debuted around 8 million viewers and has averaged between 18 and 20 million viewers for its last three seasons. As the quality (in my opinion, as well as many critics and any discerning viewers who have issues with misogyny, homophobia, and other prejudiced stereotypes) dropped, the ratings increased. In a similar vein, I was intrigued by Last Man on Earth when it first debuted. 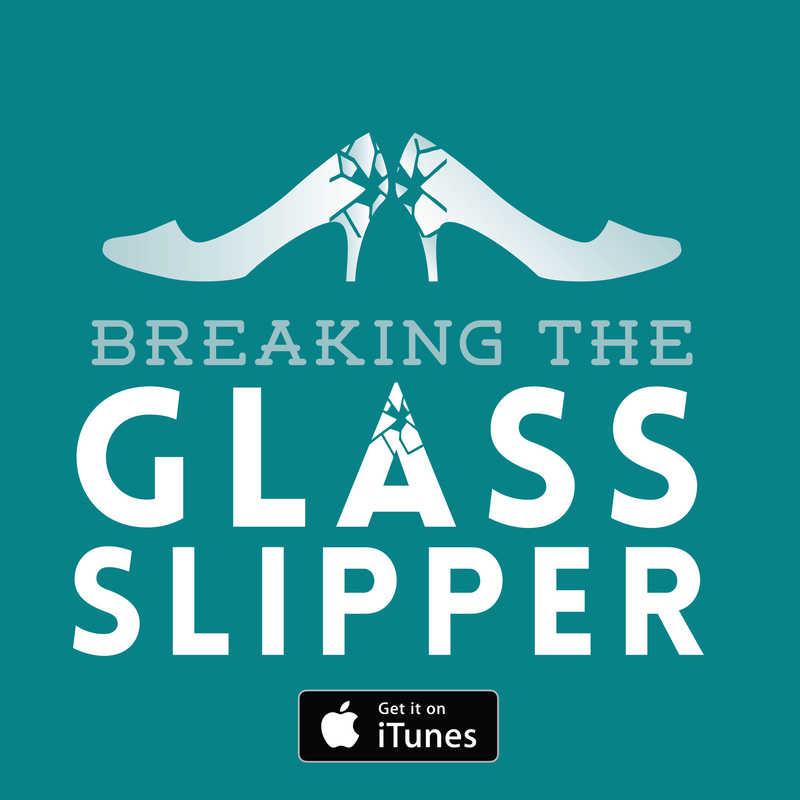 What an interesting premise! And while I can understand that having only 2 characters in an entire series might make it difficult to come up with new and interesting storylines, the show not only grew more and more generic but completely moved away from its name (Phil isn’t the last man on Earth!). 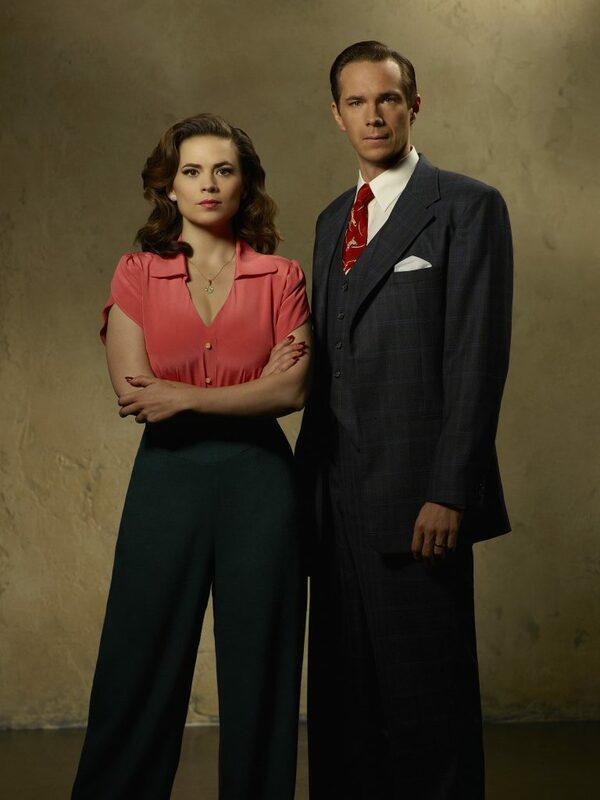 It is no secret that I am absolutely gutted about the cancellation of Agent Carter. At least I still have iZombie, though it has been touch and go with the show, never being a ‘sure thing’ for renewal. But why are so many awful shows finding success? For instance, I watched the pilot episode of Lucifer. It was so bad I thought it would find itself axed before the network aired all of its first season. Instead, it has been renewed, finishing its first season run around the 6.5 million viewers mark per episode. Another series I found to be utterly atrocious was Shadowhunters, yet another adaptation of Cassandra Clare’s YA Mortal Instruments series. It was picked up by ABC Family for its first season where it averaged out at only 0.8 million viewers. Despite these numbers (though, it isn’t on ABC’s main channel, so lower ratings are acceptable), it has been picked up for a second season. A series I felt started with promise, but relied far too heavily on distinguishing itself from Superman as it wore on, was Supergirl. The series is moving to The CW for its second season. This makes a lot of sense, especially when fans wondered why it went to CBS instead of The CW to begin with given all DC’s other series are with the teen-centric network. At The CW, it will be easier for Supergirl to have crossovers with Arrow, The Flash, and Legends of Tomorrow. 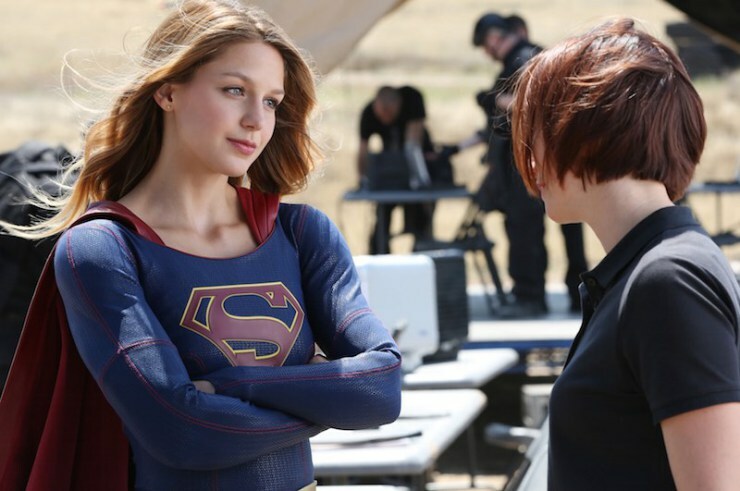 During its first season, Supergirl sat at around the 7.5 million viewers mark (though it steadily decreased as the season wore on, with a season low of 6 million for episode 17). Not a huge number for a major network like CBS, but very good for The CW, whose series Arrow draws, on average, just over 3 million viewers. And in other completely baffling news, Sleepy Hollow, a show whose first season was fun, but the rest has been positively unwatchable, has been renewed without one of its main leads! The utter crap pile that is The Librarians has also been renewed for a third season on TNT (while Agent Carter has been cancelled! Excuse me while I go have a cry…). Explain that one to me. This is my plea to the networks: I get it, ratings are important. But can you please try to support shows that are actually good once in a while?! Previous: Sing Street: You’re in a band? Lucifer actually became pretty good. Especially when the show’s myth arc started up.